Gloria found this couple in Lake Washington. There are turtles all over Shoreline. At Echo Lake and Ronald Bog the turtles line up on logs like this (although this one looks like a beam left over from dock building). They seem to be sunning themselves because we only see them on warm, sunshiny days. 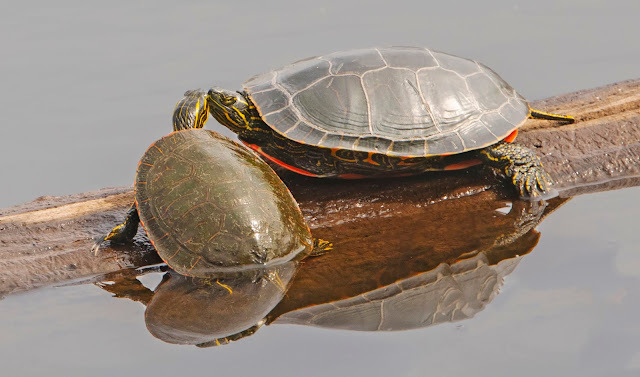 Gloria says these are painted turtles. I assume we are looking at a parent and a juvenile. If you look closely at the smaller turtle you can see the pattern which is so prominent on the adult.